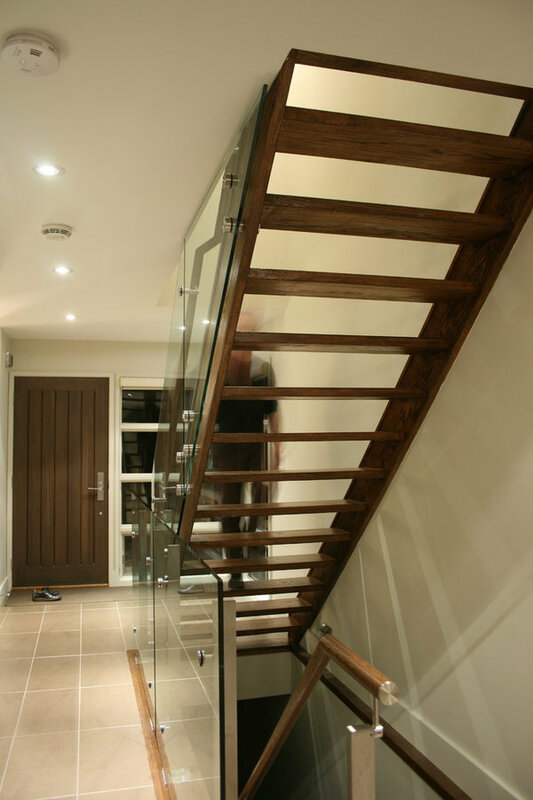 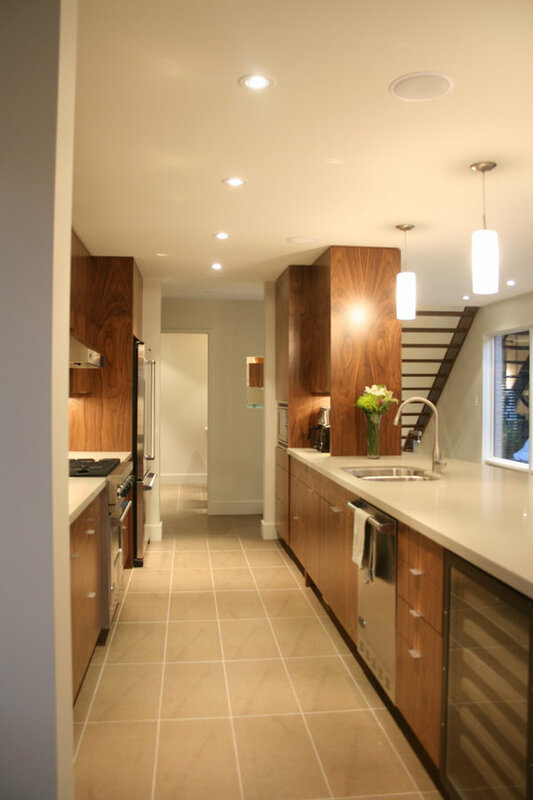 Modern kitchen and stair renovation in Oakville. 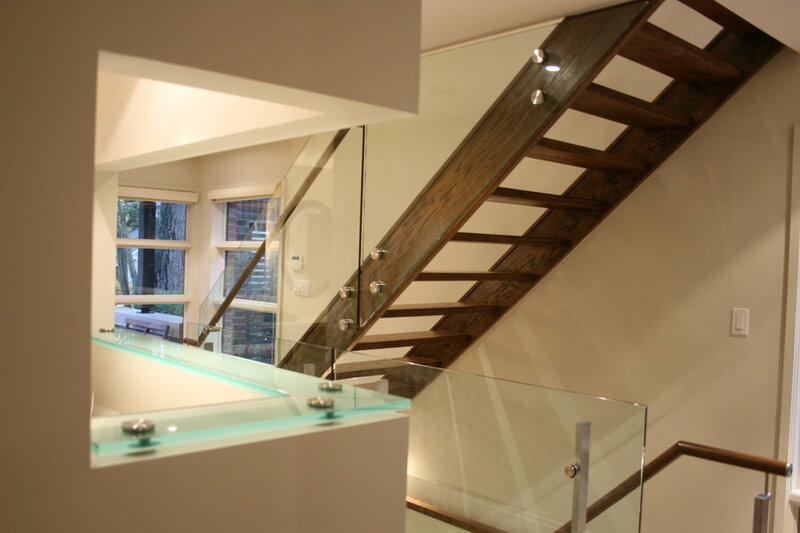 Glass railings are the highlight of this open concept main floor. 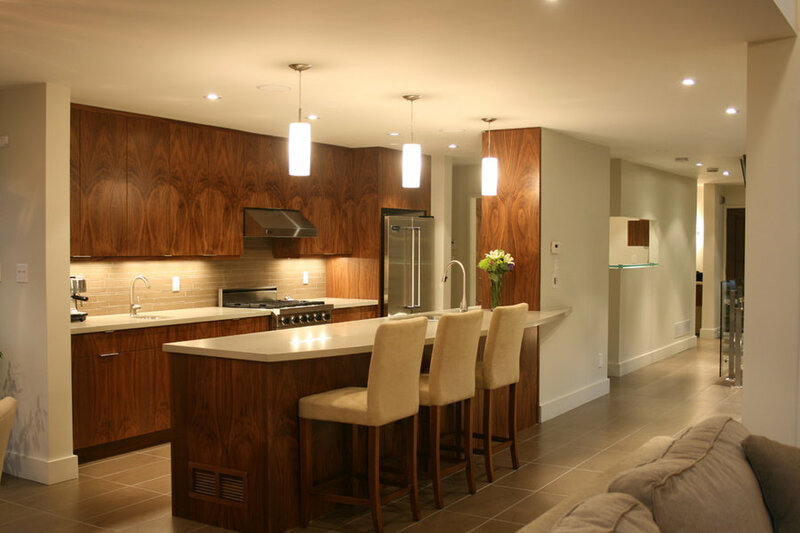 Bookmatched walnut veneers offer clean, elegant, multifunctional space open to Living and Dining rooms.